Call it the first sign of the aporkalypse: The nation could be facing a bacon shortage, with stocks of the salty strips at their lowest since 1957 due to a surge in demand (bacon ice cream, anyone?). Recent data from the USDA shows that 2016 inventory for frozen pork belly, which puts the B in your BLT, is down 35.6 million pounds from 2015 levels. 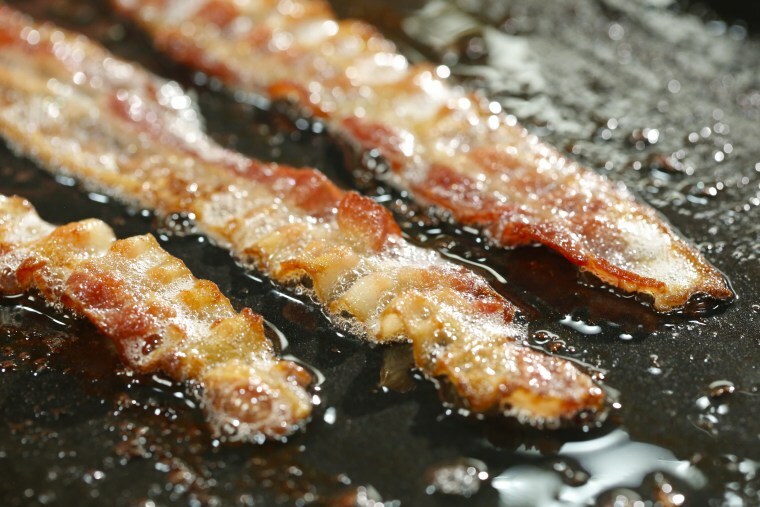 For now, the nation's pork farmers are meeting the heightened demand, said Rich Deaton, President of the Ohio Pork Council, which is championing bacon's cause to make America's breakfast tables great again. “Rest assured. The pork industry will not run out of supply. Ohio farmers will continue to work hard to ensure consumers receive the products they crave,” Deaton said. But in the meantime, the 67 percent year-on-year drop in inventory levels has led to a spike in pork belly prices, with January already seeing a hike of 20 percent. The threat of porky privation does not go unnoticed on social media, where #baconshortage2017 started to trend Wednesday morning. Hey, Twitter, when are we taking to the streets to do something about this bacon shortage??? ?